National security adviser Tom Donilon speaks during the daily news briefing at the White House in Washington on Thursday, May 17, 2012. 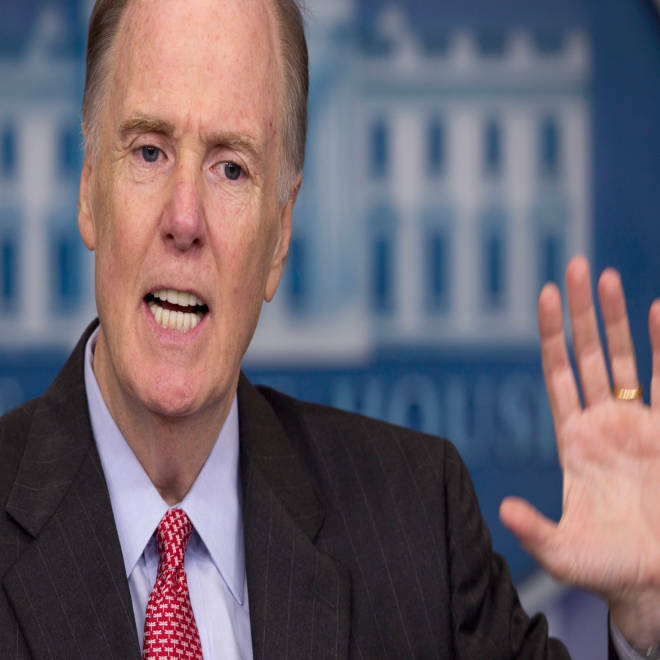 Chinese leaders must address cybersecurity threats emanating from their country on “an unprecedented scale” or risk weakening the economic relationship between Beijing and the United States, White House national security adviser Tom Donilon said Monday. The remarks, delivered to The Asia Society in New York, are the first by a White House official to specifically name China as a threat to U.S. cybersecurity. Though Donilon focused mainly on the danger to U.S. businesses, he did acknowledge the risk such an attack could pose to U.S. national security. He said that the issue has become “a key point of concern and discussion with China at all levels of our governments” and that President Barack Obama has vowed to do what is necessary to protect America’s interests against cyberattacks. During last month’s State of the Union address, Obama highlighted how vulnerable America’s financial institutions, power grid and air traffic control systems could be to an attack. The president, who has signed an executive order to help address those concerns, called on Congress to pass comprehensive legislation that would better secure online networks to help protect against attacks. The president never mentioned China during his high-profile address. But on Monday, Donilon was much more direct, detailing three requests for Beijing, including recognition of the severity of the problem, “serious steps” to address it and establishing guidelines of acceptable norms in the digital realm. “Both countries face risks when it comes to protecting personal data and communications, financial transactions, critical infrastructure, or the intellectual property and trade secrets that are so vital to innovation and economic growth,” said Donilon. James Lewis, a cybersecurity expert at the Center for Strategic and International Studies, said Donilon’s remarks indicate an aggressive shift in how the administration deals with China. It is a pivot, Lewis said, that comes as more and more data pours in pointing to China as the biggest culprit behind cyberattacks. “The atmosphere has just changed; the data is overwhelming,” he said. Lewis said protecting digital institutions is more diplomatically framed as an economic issue instead of a security one to avoid stirring threats of military action. Still it is significant the debut of the administration’s sterner policy came from the president’s top security adviser, he said. A report released in February by a private security firm found a Chinese military unit hacked more than 140 businesses, mostly inside the United States. It’s a claim the Chinese government denies. White House spokesman Jay Carney said cybersecurity will be one of the priorities the president addresses with congressional leaders when he visits Capitol Hill this week. And the United States is not alone. European countries have suspected China has infiltrated their computer systems as well. Nations could retaliate with sanctions against Beijing. “It’s become a problem that China can’t ignore without harming their economy,” said Lewis.